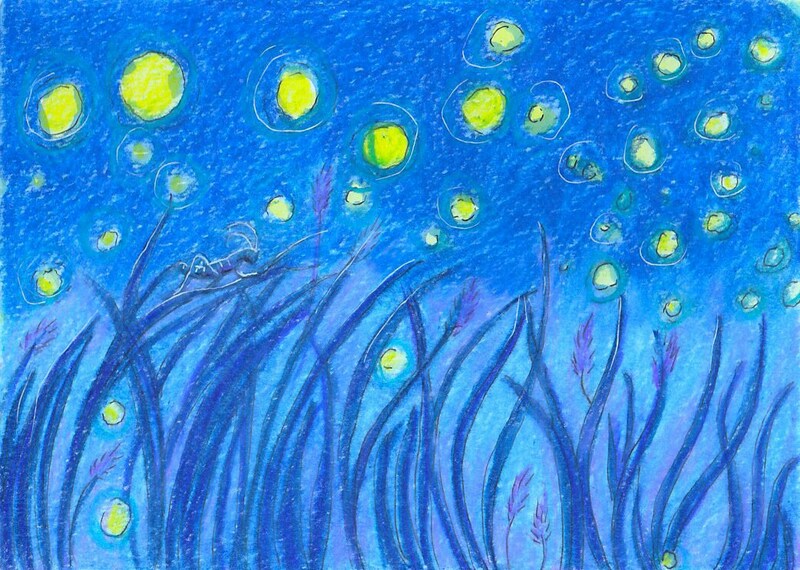 What's better than falling asleep to the chirping of crickets by the light of the fireflies? That's what summer in New England means to me. Each notecard measures approx 4x5" and comes with a white envelope in a cello sleeve. The card is left blank for you to write your own thoughts. Really, really pretty card. It's perfect. Thanks very much. This beautiful card arrived fast. I love it so much that looking at the picture elevates my spirits. Thank you! Beautiful! My eyes dance around the yellow. Beautiful! LOVE these cards!! Will buy from again!